IncSwell is a co-working space where entrepreneurs and small businesses scale their passion into provision. We are located at 204 Front Street in downtown Marietta, Ohio near the intersection of Front and Butler Street. Our facility is equipped with over 5,000 square feet of office space dedicated to the economic development of the Mid-Ohio Valley. We welcome all walks of professionals and have membership options for daily, monthly, and annual usage. Amenities include high speed internet, printing, conference rooms, outdoor leisure seating, kitchenette's, and 24 hour managed access with unique entry codes for each member. 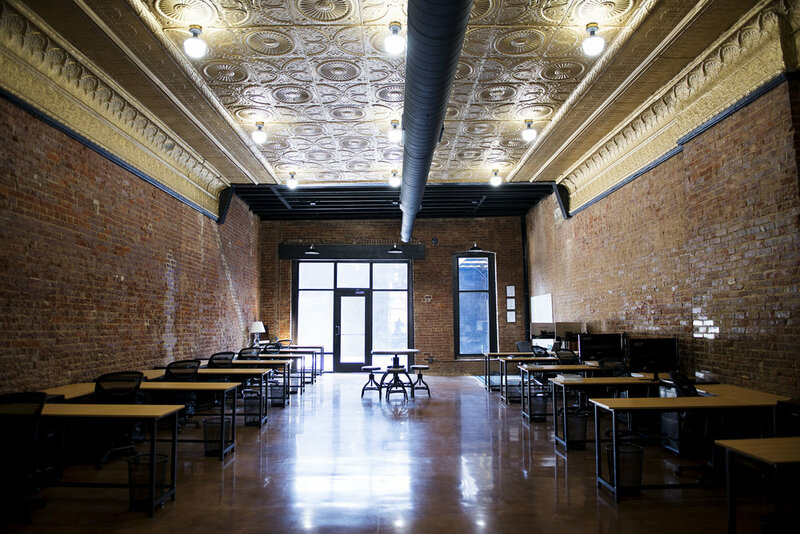 In addition to the co-working environment at IncSwell; our company is positioned to offer incubator and accelerator programs to entrepreneurs and businesses here in the Mid-Ohio Valley. Successful candidates work with our team to dive deeper and establish realistic, yet enlightened strategies for getting your idea off the ground and growing your company. If this sounds like you, click the button below to learn how we can work together.